To Buy the book with Paypal Roll down on this page and you will find it. 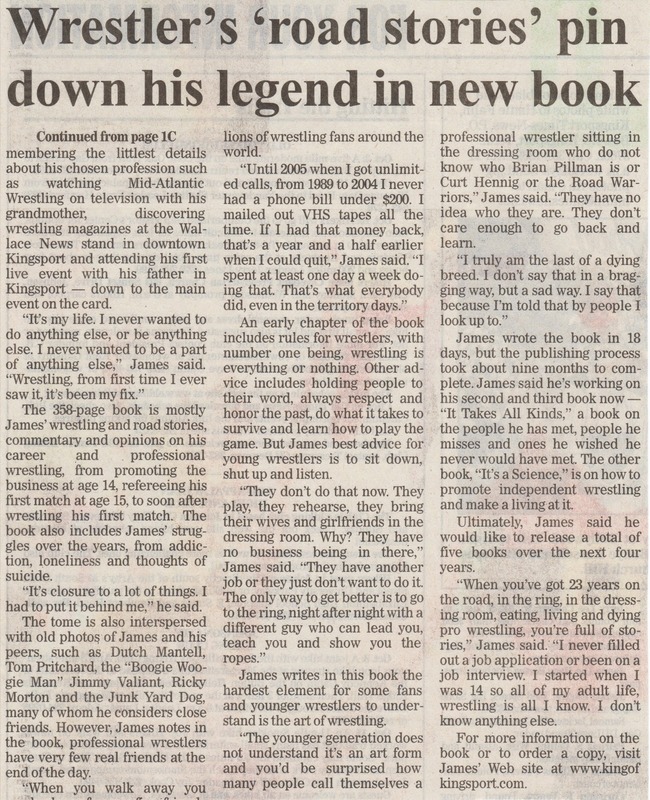 Also if you have read the book please let us know what you think of it at kingofkingsport@gmail.com . Also use that email for info on how to buy the book with a money order. Thanks to Matthew Lane for the story and review. Only thing I would like to ad is I have promoted live wrestling events in 7 states. Not just the two local counties he mentions. Also I don't like my name beside legend. Jackie Fargo, Whitey Caldwell, Harley Race men like that are legends in my profession. I just am a kid who grew up to reach his goals and dreams. And I give all the glory to God for it.